Kick off 2017 with our Upsized Refer-a-Friend Special! 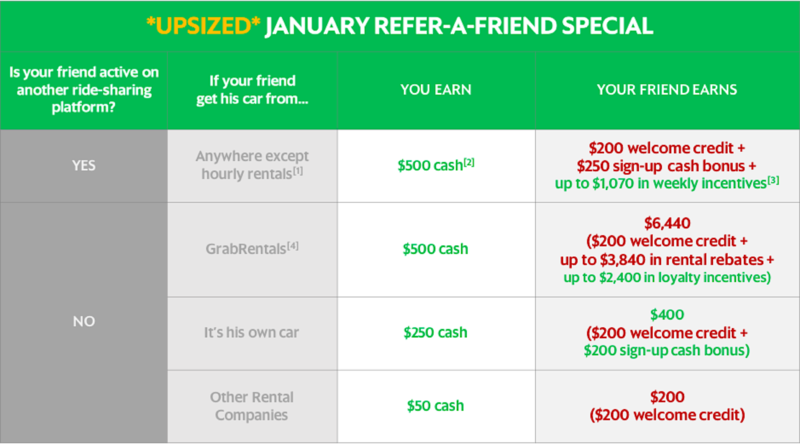 We’ve improved our Refer-a-Friend Special this January, so now it’s even easier for you to earn up to $500 just by referring a friend to us! 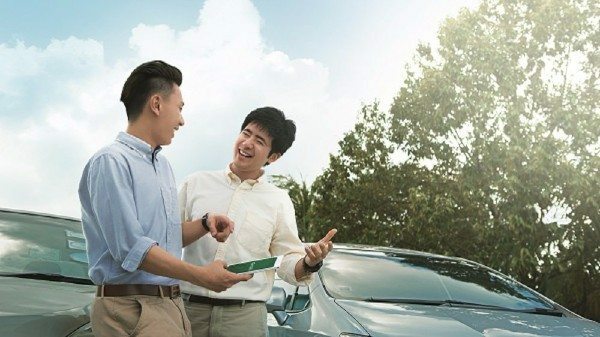 If your friend is new to the ride-hailing industry, you also earn up to $500 by referring him to Grab now! For more info on this week’s GrabCar incentives, refer to the email sent to you. If you have not received it, check your Spam folder and add no-reply@grabcar.com to your Address Book or Contacts to prevent our future emails from being filtered out as spam. If it is also not in your Spam folder, contact Customer Service to verify accuracy of your Grab-registered email address & for further assistance. Earn more with 50% GrabShare Fare Top-Up! This week, from Monday to Sunday, continue to enjoy 50% more earnings with our GrabShare 50% Fare Top-Up! For example, if 2 passengers carpool with GrabShare final fares of $12 and $16 respectively, Grab will top up your total fares to $42! This incentive applies to both matched and unmatched rides. No AR/CR/DR criteria for this incentive, but do note that GrabShare bookings will affect your AR/CR/DR for normal GrabCar incentives. 20% commission applies to fare top-ups which will be paid in CASH. Join our Loyalty Program and earn EXTRA! Unless otherwise stated, only completed trips for GrabCar 4-Seater Economy, GrabCar 6-Seater Economy & GrabFamily are eligible for incentives. For any fare top up by Grab, the usual Grab commissions apply. Always maintain a driver rating of at least 4.3 stars & abide by GrabCar’s Code of Conduct . 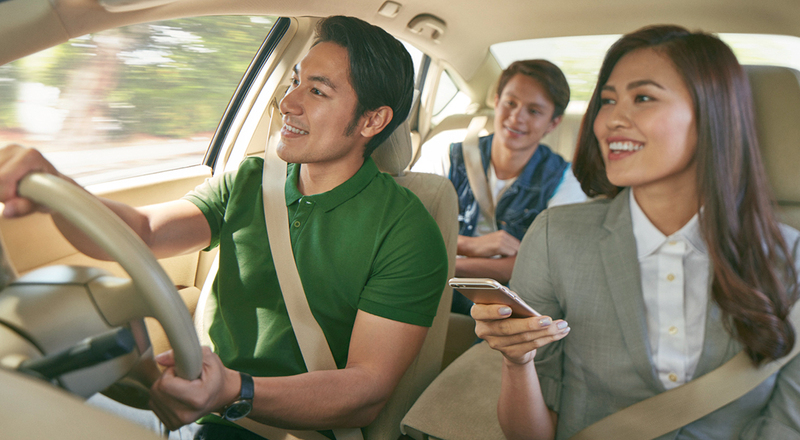 Grab reserves the sole & absolute right to forfeit incentives & suspend accounts of Partners whose (i) driver ratings fall below 4.3 (ii) cancellation rates exceed 15% (iii) display conduct that Grab considers inappropriate or unacceptable. Grab’s decision is final and conclusive – requests for appeal and review will not be entertained.